London has many iconic buildings, landmarks and sights to be seen, whether they be old or new the city is constantly evolving and is rich in historic culture. To help you along your way if you haven’t been to the city before, we’ve created a list of the 20 must see London attractions whilst you’re there. Use this as a little checklist if you wish and happy exploring! Big Ben is located in Westminster and is the nickname for the ‘Great Bell’ of the clock but is often used to refer to the clock and clock tower, the clock tower’s official name is now the Elizabeth Tower named after Queen Elizabeth II in 2012 for her Diamond Jubilee. 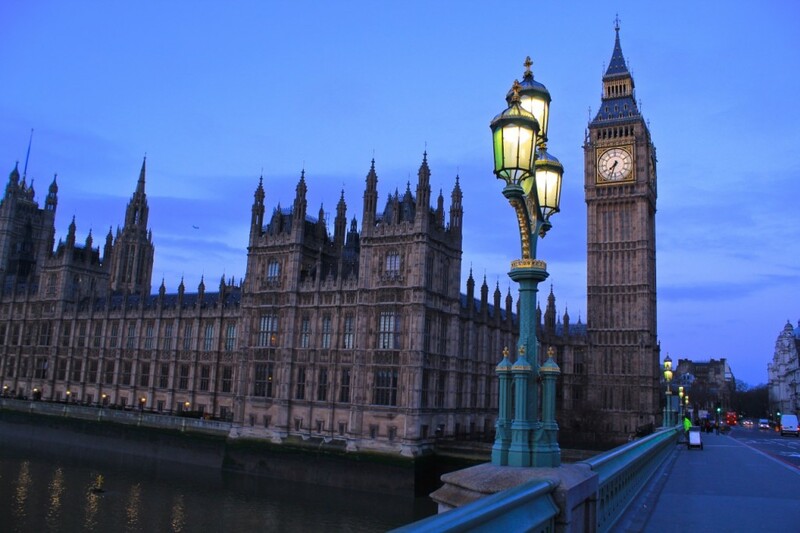 Big Ben is an iconic London landmark and a must on your list to see while you’re here! The Houses of Parliament’s official name is actually the Palace of Westminster, however due to it’s inhabitants it is commonly referred to as the former. They’re on the banks of the River Thames in Westminster and the building itself is exquisite, you can arrange tours round the Houses if you’re interested in learning more about British politics, if not just admire them from the outside! Buckingham Palace is the London residence of the Queen. 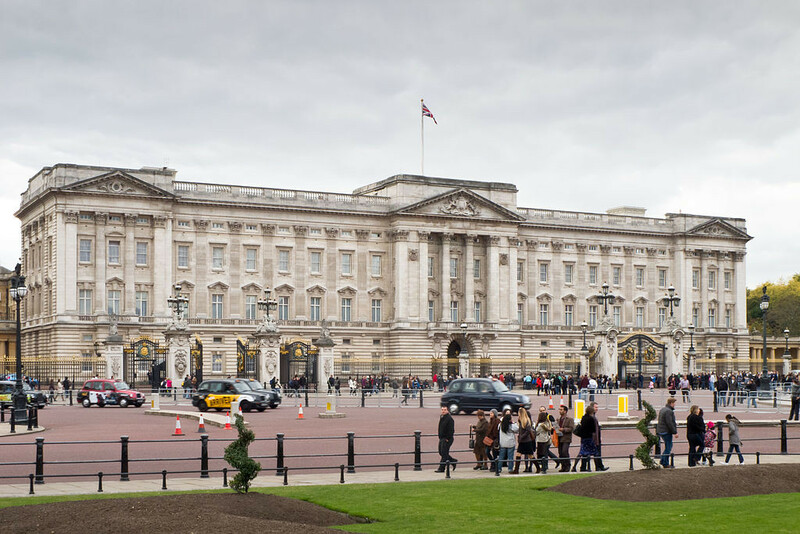 Located centrally Buckingham Palace is at the top of Pall Mall next door to Green Park and St James’ Park. Similarly to the Houses of Parliament you can book tours round the Palace if you’d like to pretend you’re a royal for an afternoon or you can admire it’s beauty from outside the gates! The London Eye was opened to the public in the year 2000, when it was first built it was the largest Ferris Wheel in the world and until the opening of the Shard in 2013 it was the highest viewing point over London. You can buy tickets to go up in the London Eye in one of the little pods, it’s definitely something to consider on your first trip to London so you can see out over London. The view of it from the ground is also pretty spectacular, it adds a different dimension to London’s skyline! The National Gallery from Trafalgar square / image by James F.
Trafalgar Square is the square surrounding Nelson’s Column. The name refers to the Battle of Trafalgar which was a British naval victory against Napoleon. The square is a very large public area where you can sit or admire the fountains with the backdrop of the National Gallery. It is often used for big public events or sometimes protests congregate here, at Christmas the huge Christmas Tree can be found in the square making it feel completely magical! The Natural History Museum is located in South Kensington on Cromwell road. Even if you’re not particularly interested in Natural History the building is stunning and a must see on your trip to the capital. You don’t have to pay to get in so it’s worth having a wander and admiring the beautiful architecture. St Paul’s Cathedral is a landmark in the London Skyline, the cathedral’s dome is what makes the architecture so exquisite and iconic from the outside. The present church has been there since the 17th century and was constructed in the rebuild of London after the Great Fire of London which destroyed much of the city. You can go inside the Cathedral and walk around as well as viewing it from the Millennium bridge which runs over the Thames directly in front of the cathedral. 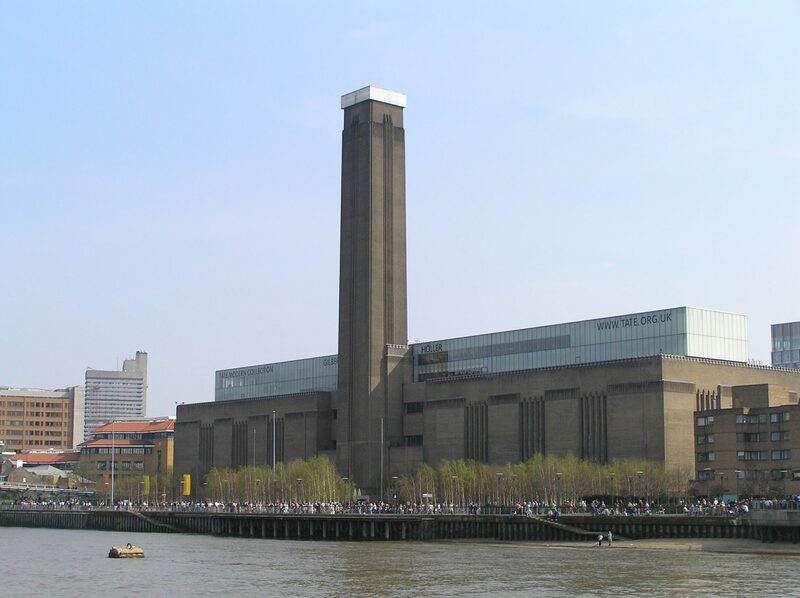 The Tate Modern is located on the banks of the River Thames in a former power station. 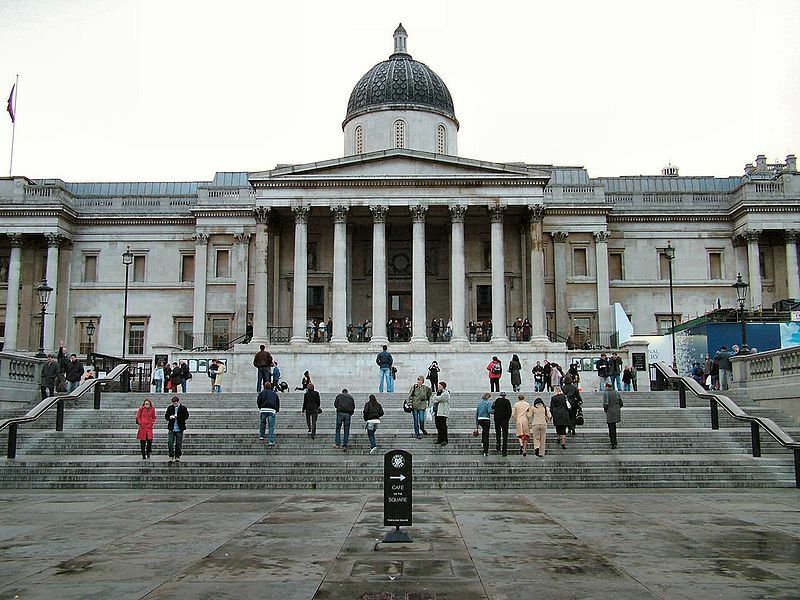 It holds both British and international modern art as well as showcasing some one off exhibitions. The museum is well worth a trip to, not only is the gallery building itself completely unique but there’s always lots to see! The Globe Theatre is nearby the Tate Modern, it is a modern reconstruction of the original theatre which was closely associated with William Shakespeare that was first built in the 17th century. 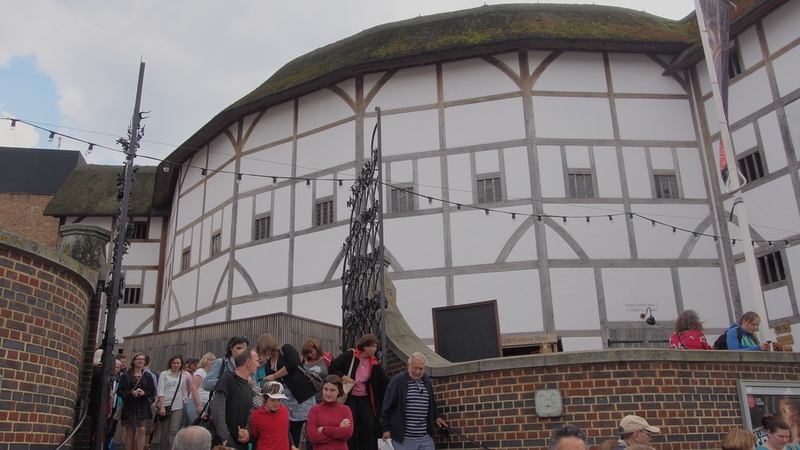 You can buy tickets to see shows being performed here and it is iconic for it’s circular shape, thatching and open roof! Tower Bridge is one of London’s most iconic landmarks crossing the river. The bridge has stood in London since the 19th century and is infamous for it’s drawbridge effect making it able to let tall ships through and down the Thames. 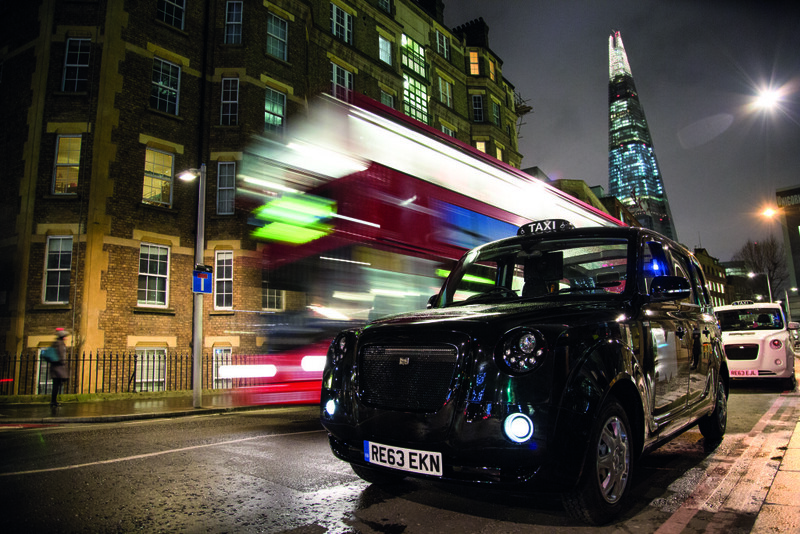 You’ll find it close to the Tower of London and the nearest Tube stations are Tower Hill and London Bridge. 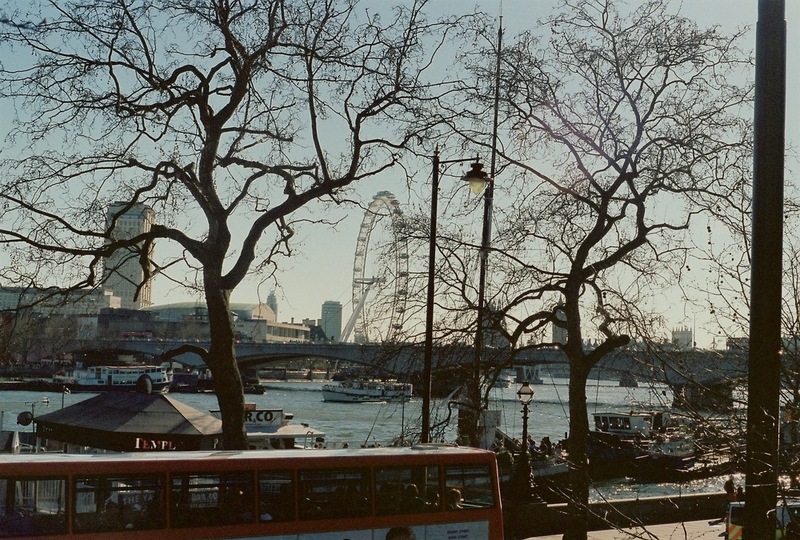 Take photos from the banks of the Thames or you can walk across too! The Shard is the tallest building in London, towering above every other landmark and unmissable from many places in London. The skyscraper was opened in 2013 and is home to multiple high end restaurants, the Shangri La Hotel and a viewing platform which you can buy tickets to head up to. It’s well worth admiring the view from up there but the only problem with viewing London from the Shard is you miss a view of the building itself, so be sure to make sure you admire it before going in. The Tower of London was founded in 1066 and the castle was a prison from 1100 until 1952. 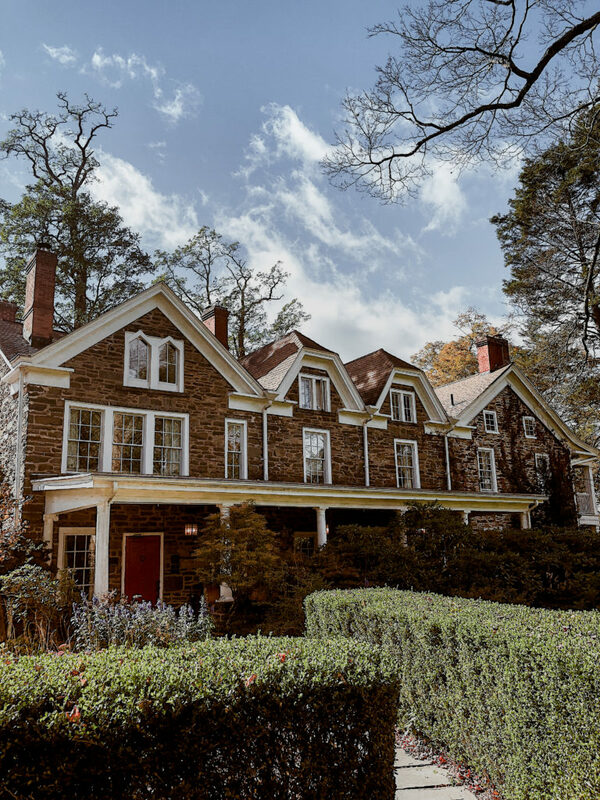 The building reeks with history that is waiting for you to discover it. You can also go and view the Crown Jewels in an exhibition here and marvel at how sparkly they are. 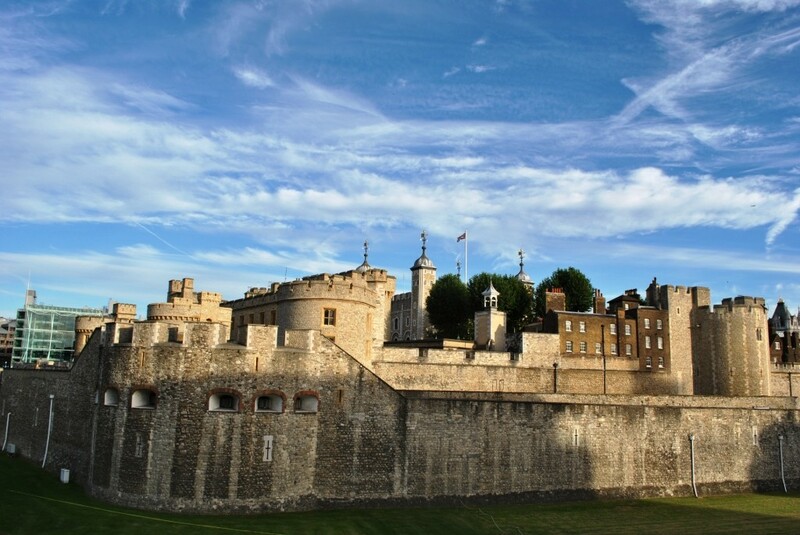 Add the Tower of London to your list and go and see one of London’s oldest monuments! 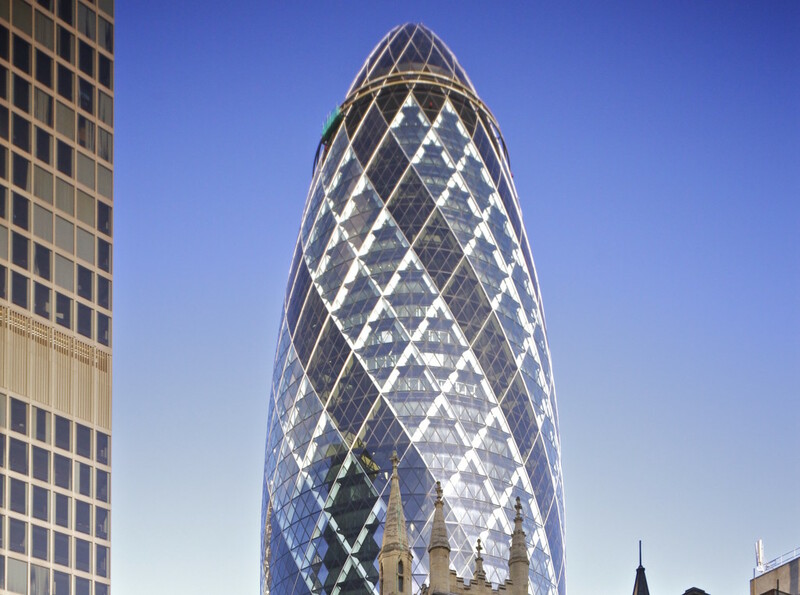 The Gherkin is the building that looks like the shape of a Gherkin, it’s become iconic to the London Skyline and an unmissable feature when you’re looking towards East London. The building itself is composed of offices so it’s not a monument you can go inside of but it’s well worth trying to spot on your trip to the city! Hyde Park is right in the heart of the city and one of London’s biggest parks. There’s a beautiful pond in the middle called the Serpentine which you can rent pedalos and row boats on and you can see the grounds/gates surrounding Kensington Palace which are located at one end of the park. 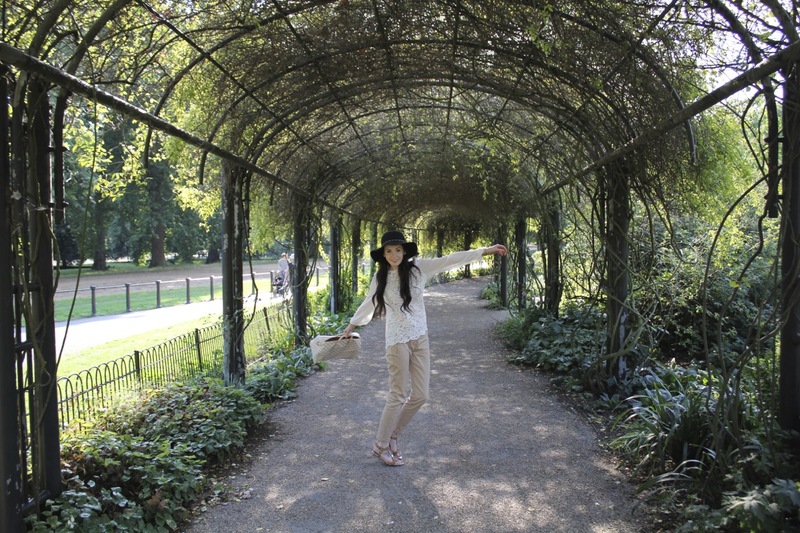 It’s a beautiful park to wander around and it’s unmissable when visiting London. This is one for all the Harry Potter fans out there! If you want to find Platform 9 3/4 they have it all set up, permanently, at King’s Cross Station. 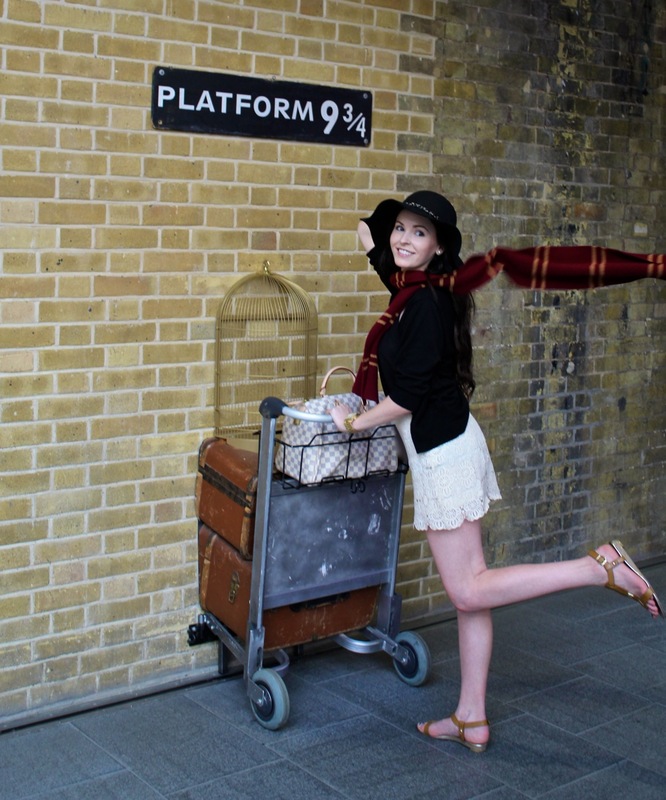 You can have your photo taken, where a Gryffindor scarf and imagine you’re off to start a term at Hogwarts! Horse Guards Parade is a large parade ground which can be found off of Whitehall near Downing Street in Central London. 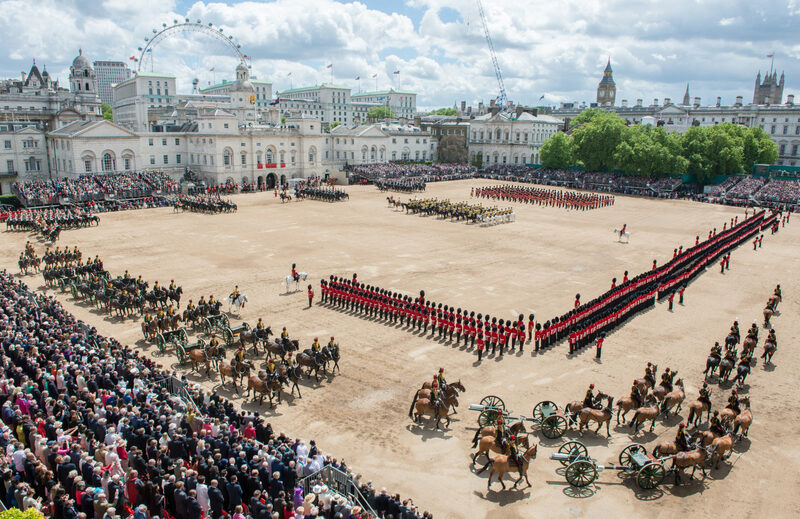 This is where events such as the Trooping of the Colour happen, there’s also a number of monuments located around the parade ground that are worth having a look at, it’s located right next to St James’ Park and lined with beautiful buildings. Piccadilly Circus is London’s measly attempt at Time’s Square. It’s always ridiculously busy with bright billboards lining the edges of the buildings and you’ll probably find yourself here if you’re planning an evening in the West End or Soho! It’s worth marvelling at night and taking in the atmosphere that surrounds it. Number 10 Downing Street is where the British Prime Minister lives during his time as PM. 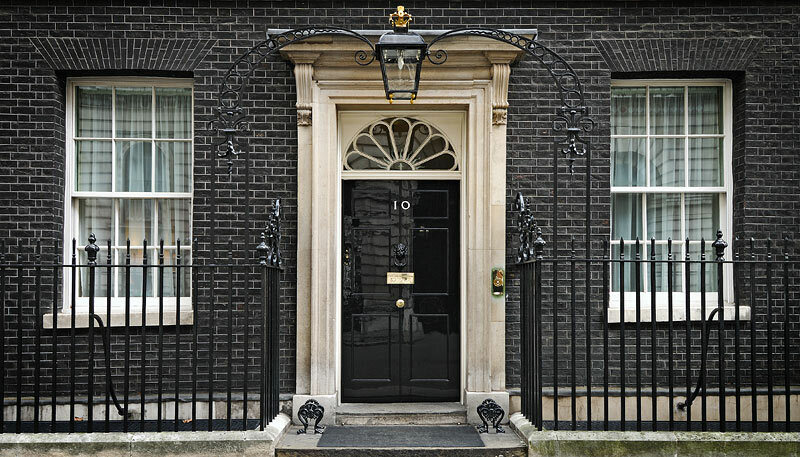 It’s located off of Whitehall and whilst you can’t get passed the gates for obvious reasons you can certainly have a look up there and see the famous number 10 door! The Changing of the Guard happens daily and you’re able to witness it if you get the timings right. It happens almost every day from April till the end of July, between 11.15am and 12pm, for the rest of the year it happens on alternate days. 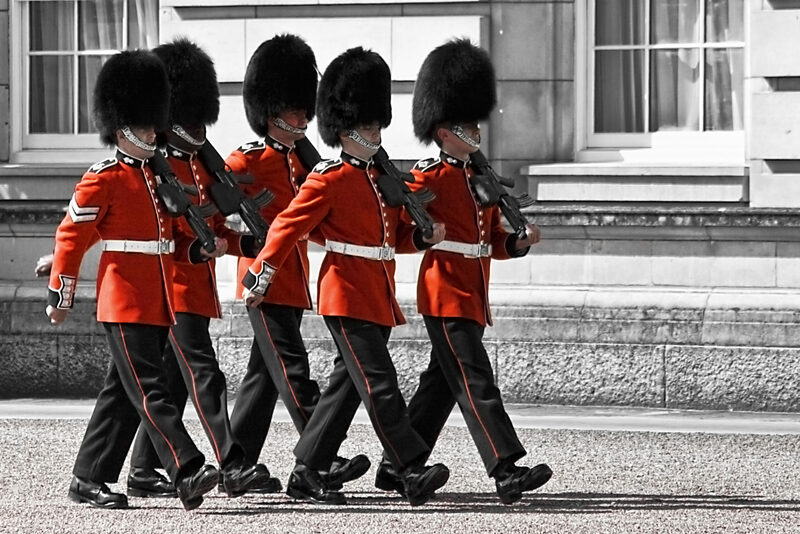 This daily ceremony is a must see on a trip to London, it is when one regiment takes over from another, in their ‘guarding’ duties of Buckingham Palace. It sees the New Guard marching from Wellington Barracks to Buckingham Palace to become the Queen’s Guard. If you want a little bit of culture and British pageantry then this ceremony is for you! Located in the heart of London Covent Garden is always buzzing. It’s filled with shops, restaurants, bars and street performers. 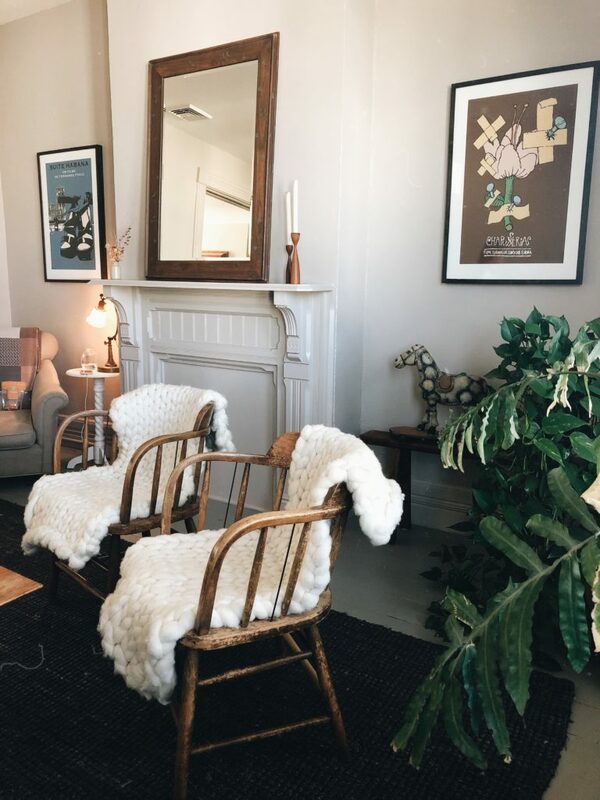 You can wander through, sit down for a coffee in the square or dine out in the evenings here. 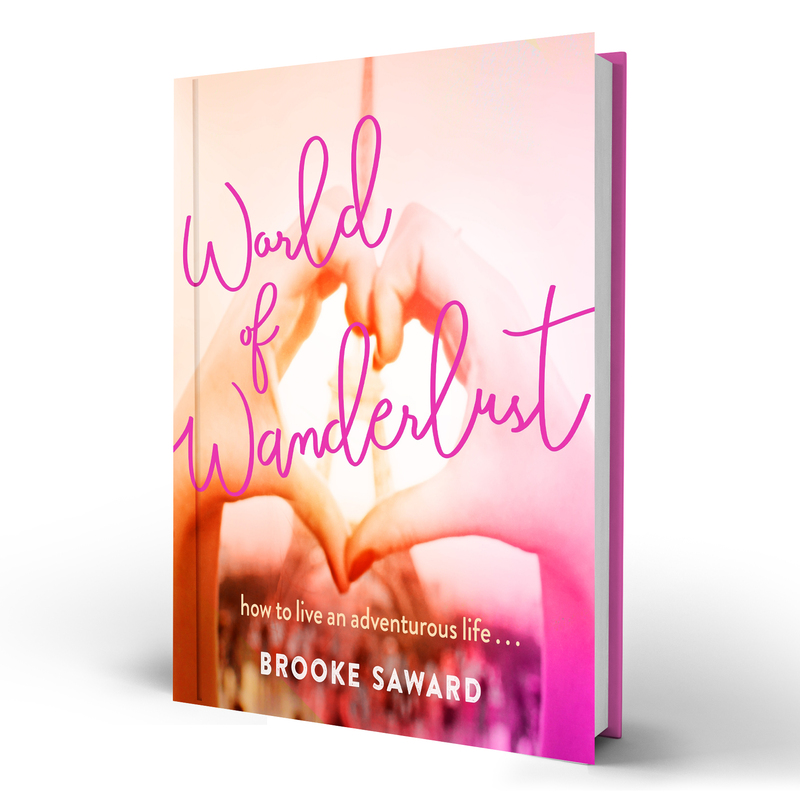 It’s a really fun area of London to visit if you haven’t been to London before, it’s got a real atmosphere about it and it should be on your list for your next trip! Thnks a lot of sharing the unique list…. of wonderful places….. i wish that will go there be soon. Tate Modern and the Tower of London are two things I always wanted to see. I tried to fit in as many of these places as I could on my first short trip to London! I wish I could have stayed there longer to enjoy everything else on this list 🙁 I’ll definitely have to plan a trip back. Wow! I really hope I get to travel there one day. Thanks for inspiring me with this amazing post you made. Love the UK! what a great list! Great list! I would definitely tell people to cross off Camden Town and Kensington Gardens as well! I also love heading out to Hampton Court for a day of sunbathing and tea-drinking. Good list. Lots of others of course to see and I for one can never tire of London – actually going to be there next week. For any future tourists, try a No. 11 bus from Victoria Railway Station to Liverpool Street Railway station, get up top and you pass many of these. I went to London about a year ago, but I didn’t see all of these attractions. I sure will next time! What a lovely city! I love London, I am hoping to visit the shard soon. I just went to London a few weeks ago and loved it! I’d definitely add the Victoria and Albert to this list as well as it’s certainly worth a visit. You should also visit Greenwich n the Royal Observatory on a sunny afternoon for a picnic in the gardens in September. Great list! 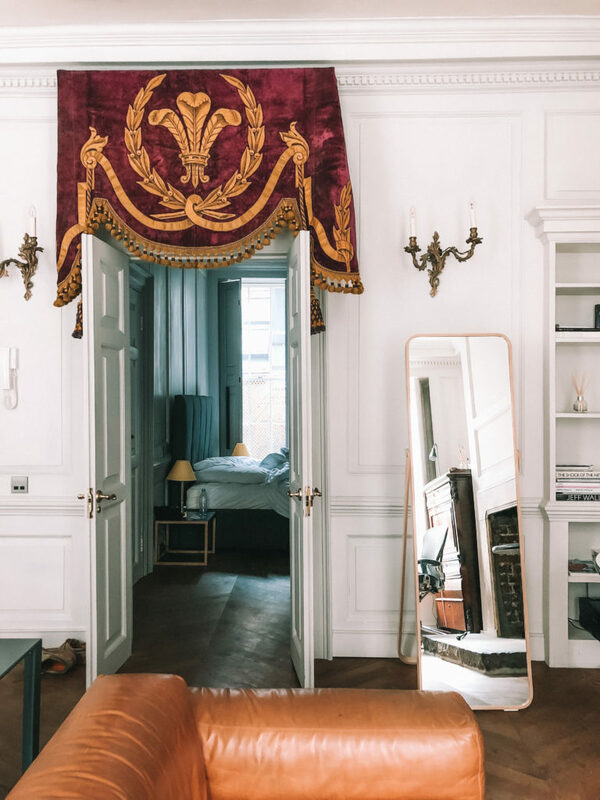 Inevitably with somewhere like London, there are always going to be places that get missed off every list – there’s just so much to see! But I love this one. Only one I haven’t done is Horse Guard’s Parade – which, oddly, has never even crossed my mind. I was there three weeks ago – even photographed Tower Bridge from the same spot as you 🙂 I also recommend St James Park and a walk along the Strand. Best shopping is in Oxford Street. I love the Victoria and Albert Museum too. It’s a great city! I have been to a lot of these places, but some of them are definitely places that I still need to visit! I would def. add Camden and Shoreditch to this list! Tate Modern – always in my heart!!!!! Pleased to say I have experienced all of these! And despite visiting London about 20 times, it was only the last visit when I hopped aboard one of the open top tour buses. Can’t recommend them enough, you will see all of these sights, as well as getting a real feel for the layout of London. I’ve been there last year, it was an amazing experience, i missed London. Lovely post! I wonder how many of these I’ll be able to fit in on my first visit to London… I’m so excited to visit this Autumn!